The PicSat orbiter's target is the massive star Beta Pictoris, some 60 light years from Earth in the southern constellation of Pictor (The Painter's Easel), and its planet Beta Pictoris b -- a gassy giant. Built at the Paris Observatory's LESIA laboratory, with European backing, PicSat is due to be launched in the early-morning hours of Friday on an Indian PSLV rocket. It will orbit our planet at an altitude of some 500 kilometres (310 miles), hoping to learn more about Beta Pictoris b by observing the next time it transits its host star, appearing as a dot on the bright surface as seen from Earth's perspective. This once-in-18-year transit is expected some time in 2018, mission leader Sylvestre Lacour, an astrophysicist at France's CNRS research institute, told AFP. "We are not 100-percent sure that the transit will happen" during PicSat's one-year lifetime, he said, as "the orbit of Beta Pictoris b is not well-known." If not, "we will observe other, secondary objects orbiting the star." 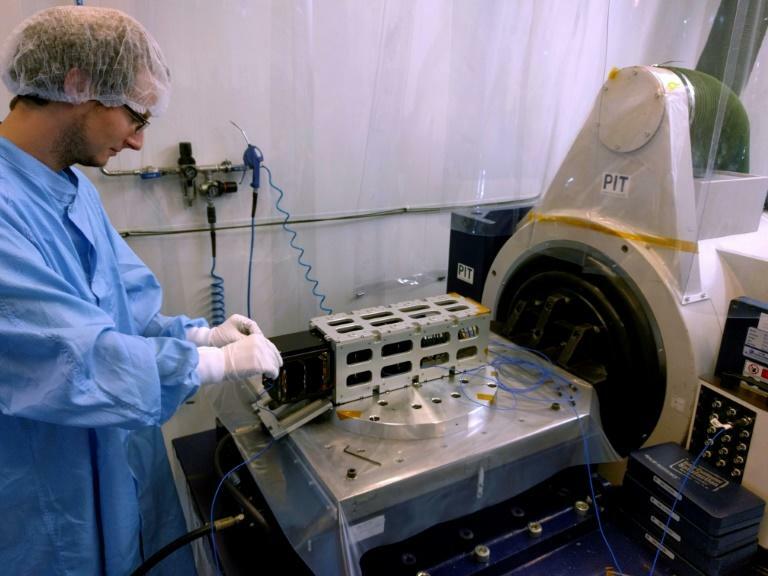 PicSat measures 10x10x30 centimetres (4x4x12 inches), "the size of a champagne box", said Lacour. It comes equipped with a telescope for fact-gathering, and solar panels to power all its systems. Weighing in at 3.5 kilogrammes (7.7 pounds), the satellite's power consumption is a mere 5 W, similar to that of an economical light bulb. It is young in astronomical terms -- only about 20 million years old compared to the Sun's 4.5 billion years. It is surrounded by a huge disc of gas and dust -- the materials from which planets, asteroids and comets are formed -- making it an ideal subject for studying the mechanism by which solar systems evolve.